Saint Peter the Apostle Catholic School welcomes your student to come and “shadow” another student for the day. 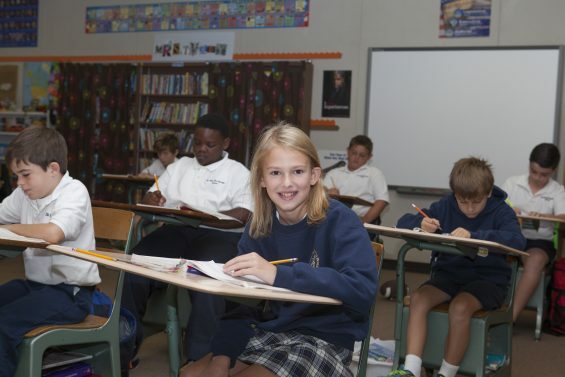 Your student will attend classes at their grade level and see what it would be like to be a part of our St. Peter’s family. A guided tour around the school campus with a staff member can be arranged anytime! As you walk around our school, classrooms and campus, imagine what a day in the life of your student would be like. You will see how the teachers and staff work together to give your student the best environment and teaching experience for success in the classroom as well as in their lives. To schedule either of the above or if you have any questions about our school, please call the school office at (912) 897-5224.